Laser Skirmish is a fun and exciting way to spend your next birthday or special occassion, or just a get together with your friends. 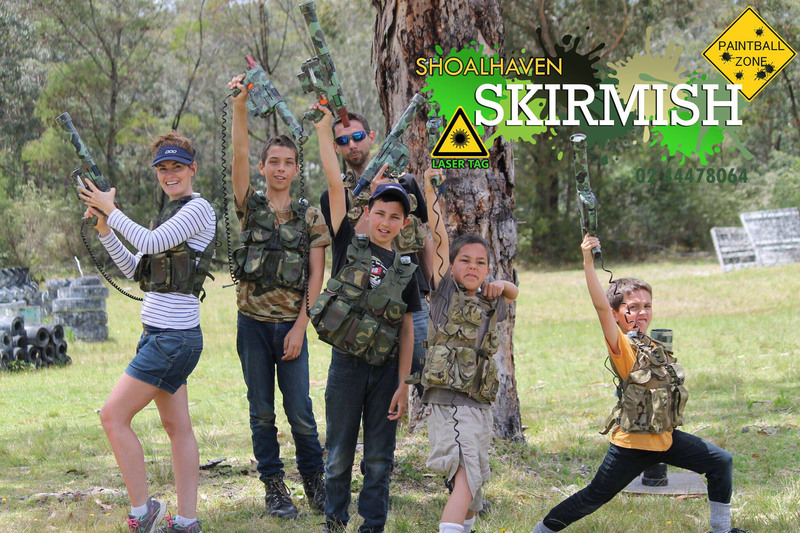 At Shoalhaven Skirmish, players get to experience what it is like to play paintball, but without the bruises! While traditional laser tag was played indoors with neon lights and tiny phasers. Laser Skirmish has ramped up the adrenalin, is like a live video game. Played in two teams where players shoot laser guns with an invisible and harmless infrared beam, with sensors detecting hits. This provides a painfree way to enjoy the strategic and team building gameplay that we all know from paintball. 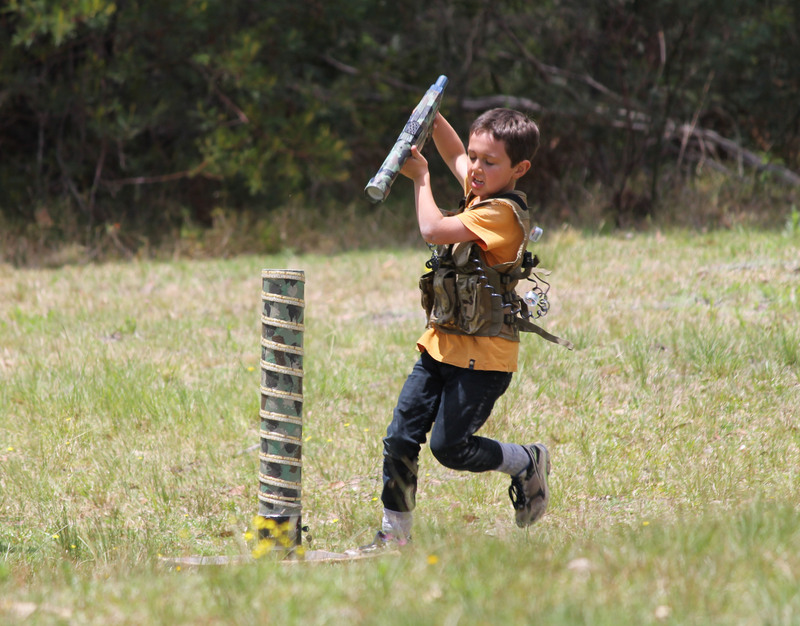 We play on the same fields as paintball players (not at the same time), so we have a variety of fields to play on, including a fort and a bush field. Our laser skirmish guns are custom made, using nerf gun shells which are painted camo, with electronics added to the inside. With distances up to 100m, our guns perfect for those who think themselves snipers. Our guns settings are very customisable, so the players can choose how the games are played.